Whether you want to wear your hair up or down, these are the best hairstyles for making fine hair look so much thicker. Not to put too fine a point on it, but if you've got dainty strands, there's a decent chance you've hoped, and wished, and spent a billion dollars on products for fuller hair. To not much avail. And by now you've figured out that you can't actually change the natural texture of your hair. But, making your hair look thicker is as easy as switching up your style. It's not like every celebrity with an enviable pile of waves just happened to be born with an overabundance of hair. They have the tools (and pros) accessible to make the most of what they have. So let's learn a thing or two from them, shall we? From Gabrielle Union's textured low bun to Laura Dern's side-swept waves, we've compiled six red carpet hairstyles for every hair length and texture that help fine hair look thicker and full of body. Keep scrolling for your next go-to style. Here's a reason to embrace the current hair pin trend: using them strategically can fake a fuller head of hair. 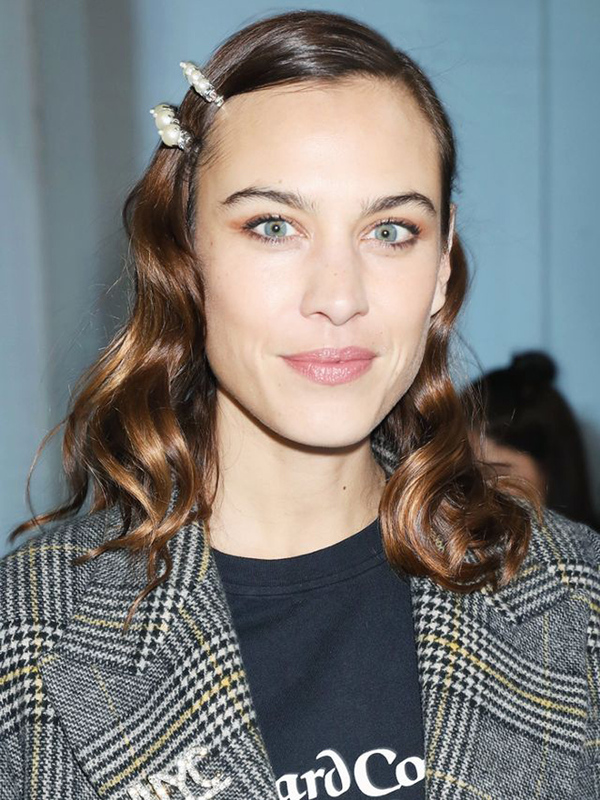 Use two to pull back the front section of your hair at the temple like Alexa Chung did at Paris Fashion Week. Place another accessory right above your ear on the other side of your head. 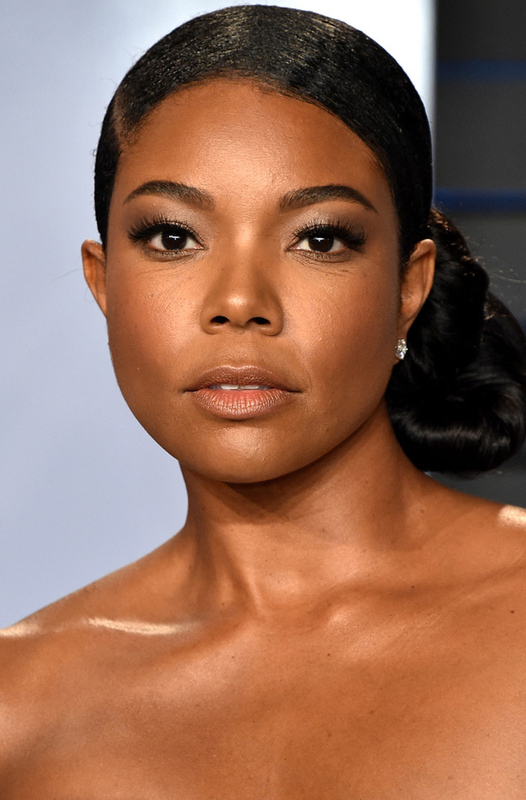 A full, low bun like the style Gabrielle Union wore to the 2018 Vanity Fair Oscars Party hides any sparseness for natural hair textures. Keep flyaways under control by running her very own Flawless By Gabrielle Union Edge Control Gel over stray hairs. Adding texture and dimension to your hair is one way of making it appear more full. 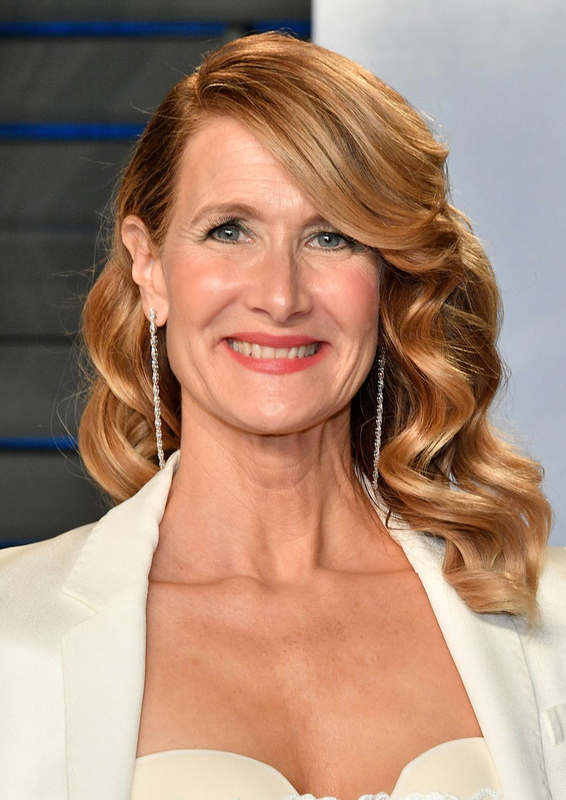 After using a curling wand like ghd's Curve Creative Curl Wand to style your hair in loose waves, sweep them over to one side as seen on Laura Dern to create the appearance of more hair. A fluffy, wavy high ponytail like Kim Kardashian West's, creates the look of full, bouncy hair. Before tying your hair up, blast your roots with a thickening spray like R+Co's Dallas Thickening Spray It's formulated with vitamins that plump up roots and builds volume so that hair looks thicker. Flipping your hair to the side is a simple trick that'll make fine hair appear more voluminous and full. A simple part switch-up works whether you have a bob, like Hailey Baldwin, or waist-length hair. Bonus: Loose, tousled waves will also give you more body. Spritz a texturizing spray like L'Oreal Professionnel's Techni.Art Wild Stylers Next Day Hair on your waves for a piece-y finish. If you can't decide whether to wear your hair up or down, go halfsies. The narrowness at the top of this style juxtaposed against the fullness at the bottom can create the illusion of fuller hair. To make hair look even more full, leave face-framing pieces out of the ponytail, like Bella Hadid demonstrates here.